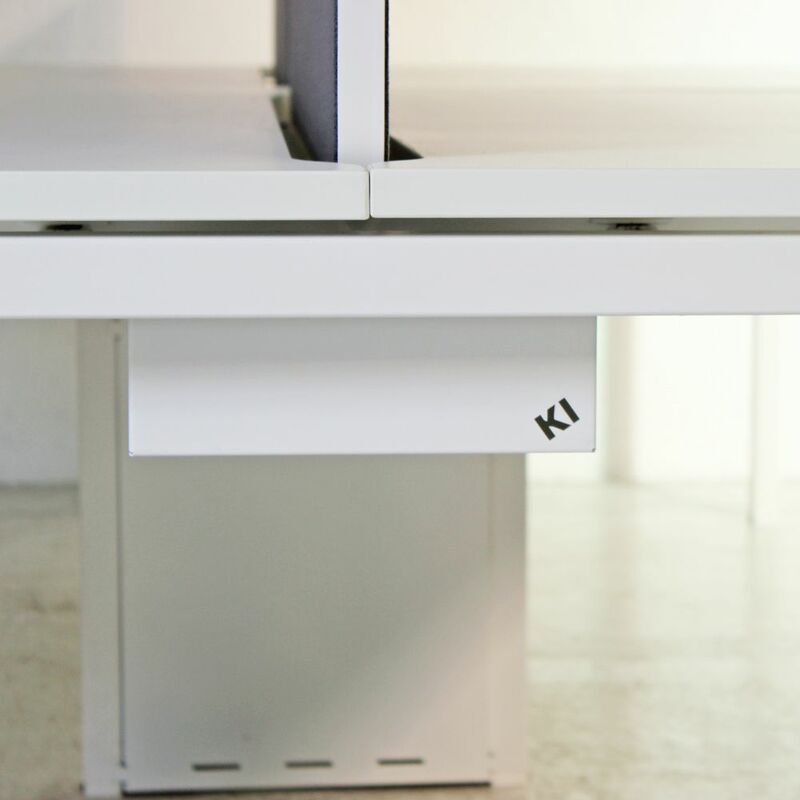 Connect3 distils KIs reputation for quality and design innovation into a simplified workstation and storage system. 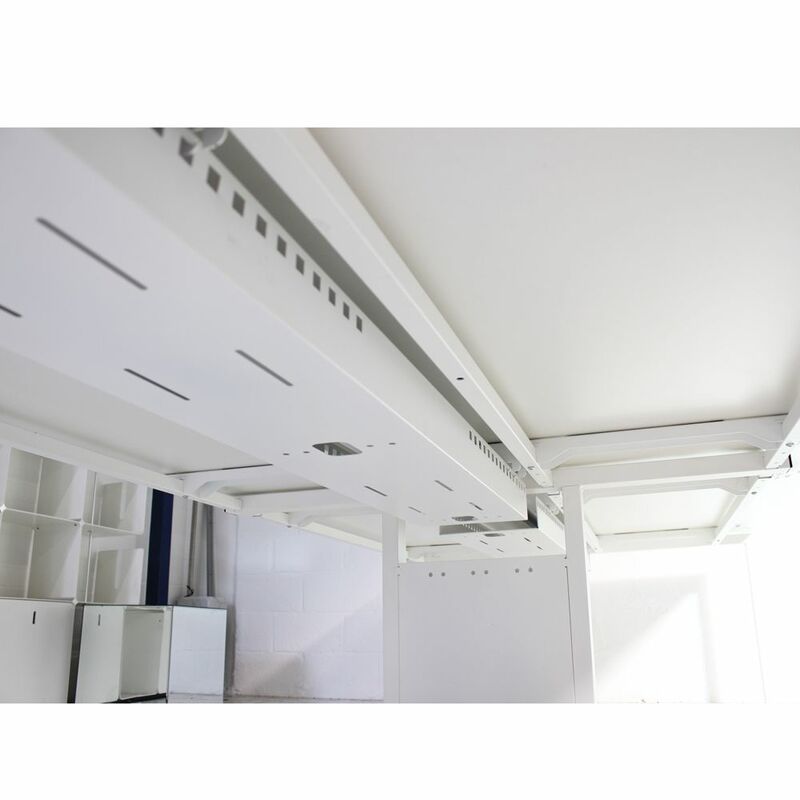 Using a streamline inventory of components, it provides a practical, durable solution for an optimised office environment. 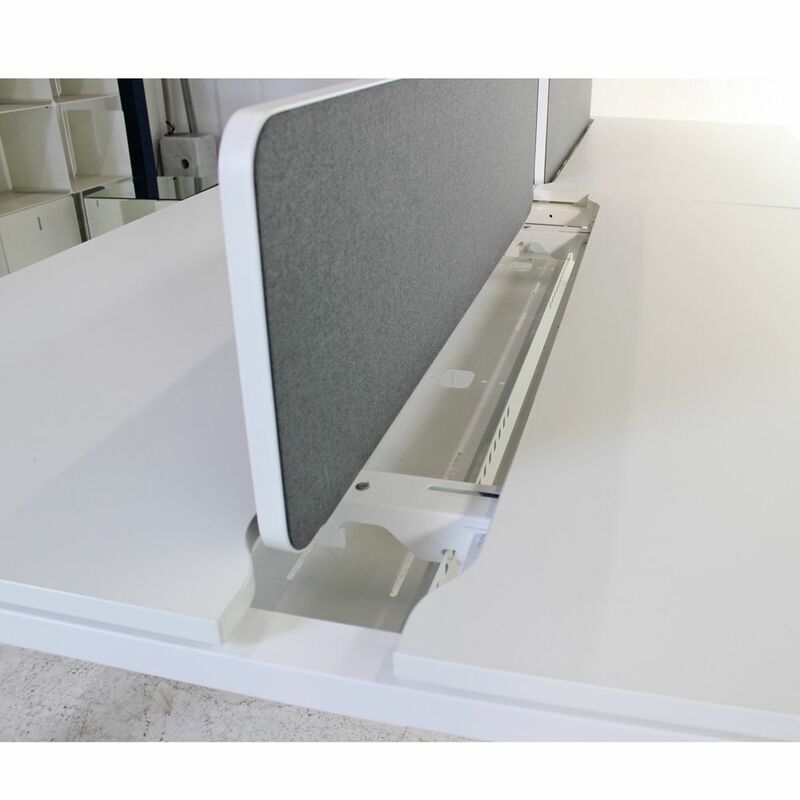 Sitting on a white metal frame are scalloped white desk tops that slide out effortlessly to gain access the stylish under desk cable trays that lay beneath. 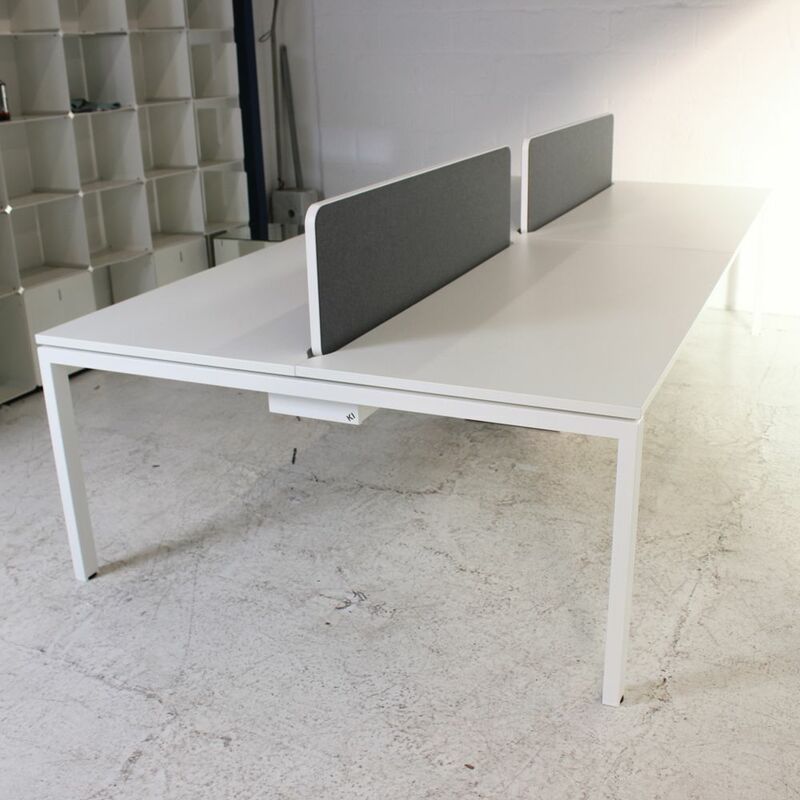 Desk dividing screens sit low and discreet within the scallop of the table top adding a stylish and discreet aesthetic. The middle supporting legs on this bench desk also double as cable tidies ensuring that all unruly wires are hidden away. 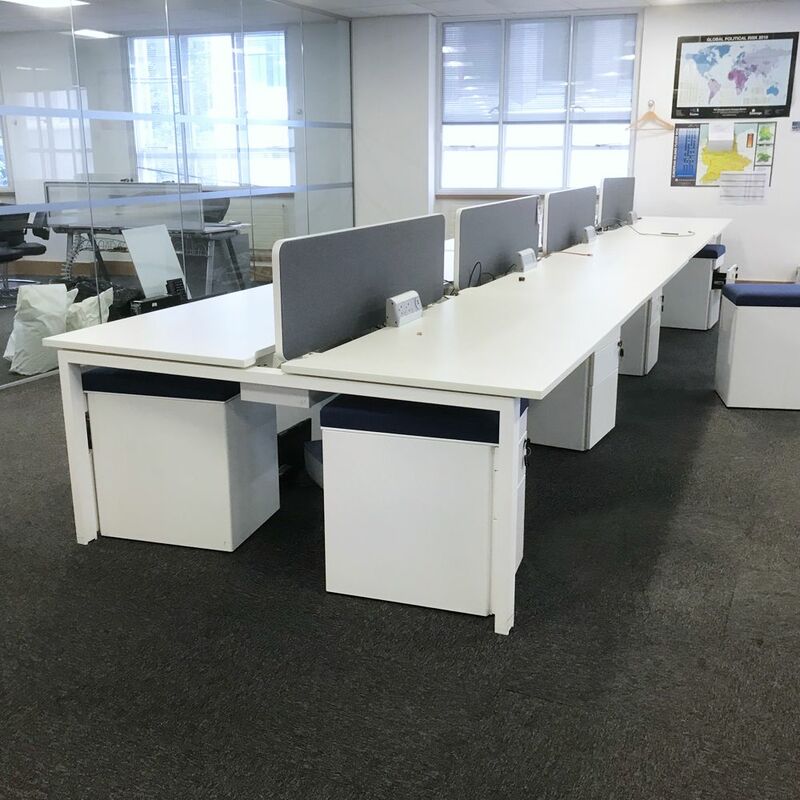 If you're looking for quality used bench desks like this White bench desk then Barkham Office Furniture is the place to visit. For more information on the desk for multiple people please don't hesitate to get in touch.